MobileHelp has great customer service and a good reputation. Equipment is easy to set up and plans are simple. Drawbacks include the lack of two-way audio on wearables and the limited range of the equipment. The other issue is that, while MobileHelp’s monitoring plans aren’t unreasonably priced, they are a little on the expensive side when compared to the competition. You can’t always prevent medical emergencies, but there are things you can do to prepare. If you or a loved one is at an increased risk for a medical emergency, you may want to consider a medical alert system. Getting help quickly in an emergency can make a dramatic difference—sometimes the difference is whether or not an injury causes long-term damage, and sometimes the difference is life or death. Choosing a company to trust with such a large responsibility can be tricky, but we’re here to help. 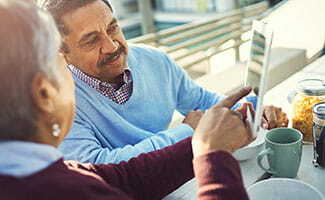 MobileHelp is one of many medical alert systems on the market. Keep reading to find out what it does well, how it could improve, and whether it is the right system for your needs. There’s a lot to like about MobileHelp, which is why the list of pros above is so long. Two of our favorite things about the company are its great customer service and its simple packages. Customer service is a big deal when your health and safety are concerned. Fortunately, MobileHelp excels in this area. We were especially impressed when we talked to customer service reps online. They answered all our questions thoroughly without once trying to push a sale. Other customers are also happy with MobileHelp—online reviews of the company are overwhelmingly positive—that’s particularly impressive since online reviews often skew negative. Many of the reviews we read talked about how helpful the customer service representatives were. MobileHelp keeps packages simple—there are just three options. And since all of them are cellular systems, they’re all easy to set up and easy to use. Our two biggest hang-ups about MobileHelp are the high price of fall detection and the equipment’s limited range. MobileHelp offers fall detection for $10 a month—which isn’t unreasonable. However, we consider fall detection one of the most important features of a medical alert system and we believe it should be accessible to any customer who needs a medical alert system. So why do we care so much about fall detection? Because falls are such a serious threat, we think MobileHelp could add a lot of value by making fall detection more affordable. Range is important because it makes it easier to stay active and enjoy the things you love. While the range on MobileHelp equipment is adequate, it could be better. Medical Guardian, LifeFone, and Bay Alarm Medical all offer equipment with more range than MobileHelp. Improving this would give customers more freedom and would help MobileHelp match the competition. Monthly price $29.95/mo. $37.95/mo. $41.95/mo. Fall detection Additional $10.00/mo. Additional $10.00/mo. Additional $10.00/mo. Additional $10.00/mo. Additional $10.00/mo. Additional $10.00/mo. Please note—the prices listed here are for month-to-month service. You can save by paying quarterly, semiannually, or annually. If at any point you decide to cancel your service, you will receive a prorated refund for the unused service. While the Duo package is a little more expensive, it gives you the most flexibility. The Classic package won’t give you protection outside your home. The Solo package gives you mobility since you can take the mobile device with you when you drive to the store or go on a walk around the neighborhood, but it doesn’t have the range to offer complete protection at home. The Duo gives you a home base and a mobile device, so you get the most freedom. MobileHelp also offers a less expensive package for $19.95 a month, but it includes a one-time activation fee and is only available when you call in and speak to a rep. Please note that all the equipment operates on a cellular network supported by AT&T. If there isn’t good AT&T coverage in your area, MobileHelp’s equipment may not work for you. 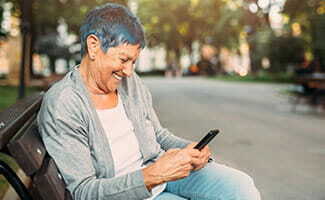 Most of the reviews we found for MobileHelp were positive—something that is honestly pretty impressive since online reviews often revolve around negative experiences. Many of the positive reviews we read talked about how comfortable the pendants and watches are and how great the customer service is. Customers also talked about feeling less stressed out about being alone and being active. Negative reviews mentioned issues with AT&T’s coverage and the short range of the equipment. A medical alert system’s primary purpose is to provide access to quick help if there’s ever a medical emergency. However, a good system should be able to do this while letting you stay as active and independent as you’d like—you should be able to visit friends and family, go on walks with your neighbors, work in your garden, and travel without worrying. That’s why we suggest getting the Duo package if you choose MobileHelp. It gives you freedom and mobility while also giving you a base station at home. While the Solo package protects you when you’re on the go, it doesn’t have enough range to work all over your house. The Classic package, by comparison, can cover your home but doesn’t protect you when you’re away. No matter which package you choose, we strongly recommend adding fall detection. While we’re happy with MobileHelp, we should point out that it isn’t our first choice. Our top pick—Medical Guardian—is about the same price, but it offers more range and wearables with two-way audio. You can also get cheaper fall detection from either LifeFone or Bay Alarm Medical. To learn more about your options, check out our post about the best medical alert systems. 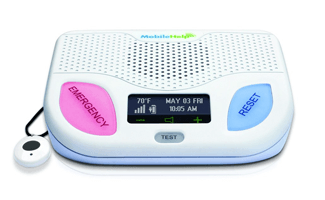 Have you purchased a medical alert system for yourself or a loved one? Please share your experiences in the comments below!